﻿ HuntingNut » Forums » Hunting » Primitive Weapons Hunting » Savage ML II? Posted: Mon Dec 12, 2005 10:02 am Post subject: Savage ML II? What do you guys think of this gun? Never did any ML before but are willing to learn. Posted: Mon Dec 12, 2005 11:01 am Post subject: Re: Savage ML II? Only things i've heard were good.....great workmanship for the money and stands up well to repetitive shooting while holding consistant accuracy. And just recently, i've been throwing around the idea about getting one myself. Posted: Mon Dec 12, 2005 11:29 am Post subject: Re: Savage ML II? Ok...What are the differences between the ML I and ML II? Posted: Mon Dec 12, 2005 11:56 am Post subject: Re: Savage ML II? Posted: Tue Dec 13, 2005 1:50 pm Post subject: Re: Savage ML II? I actually got the ML II at a steal! Can't wait to launch some smokeless out of it.! Posted: Tue Dec 13, 2005 9:07 pm Post subject: Re: Savage ML II? 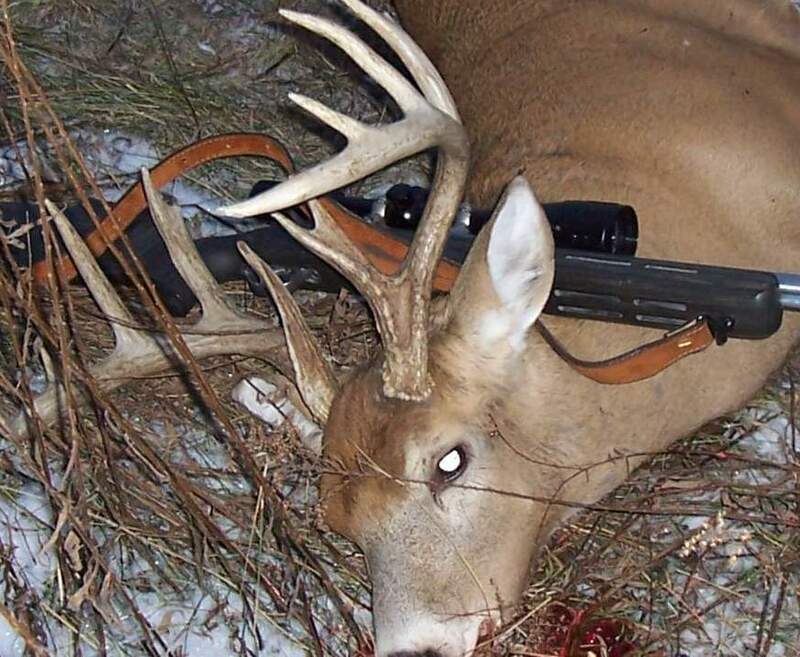 I checked with DNR and they said that this rifle can't be used in MI. I was going to get one for up here. Glad I checked first. Posted: Tue Dec 13, 2005 10:59 pm Post subject: Re: Savage ML II? 1903A3: What was their reasoning for this? And if you are correct, an "in-line" ML is illegal, as some T/C or Knight smoke poles are based on the same principal. Did you get a name and rank of the officer you talked to? Posted: Wed Dec 14, 2005 12:24 pm Post subject: Re: Savage ML II? 10 Ring I wrote to them on there website 2 years ago and they replied by saying that the Savage rifle could be used with smokeless powder and that it couldn't be used during ML season. Posted: Wed Dec 14, 2005 12:26 pm Post subject: Re: Savage ML II? I just checked the DNR site and they say you can use the 10ML during muzzle loading season. But you cannot use smokeless in the weapon, it must be Black Powder or one of the subs. Posted: Tue Dec 20, 2005 8:49 am Post subject: Re: Savage ML II? It is coming in today or tomorrow. Man this is like a new world to me. Posted: Mon Jan 02, 2006 5:58 pm Post subject: Re: Savage ML II? Posted: Mon Jan 02, 2006 6:05 pm Post subject: Re: Savage ML II? Welcome to the HuntingNut getonit, nice deer. Posted: Mon Jan 02, 2006 6:06 pm Post subject: Re: Savage ML II? Posted: Mon Jan 02, 2006 8:43 pm Post subject: Re: Savage ML II? Posted: Tue Jan 03, 2006 2:32 am Post subject: Re: Savage ML II? Nice Buck and Welcome to the Site. As far as the Savage ML, I have read some things that I don't know what to believe? This rifle was designed to be used with a certain smokeless powder at a specified charge. Being that I am unfamiliar with all of the details I reserve judgement on the rifle and its "Questionable Problems". I will say this though, I have a fair number of Savage Rifles and have not ever had any problem with them, I am very impressed with the accuracy and the quality that you get for the price. I don't believe that a Major Company in the US would keep a product in its line if there were known or perceived problems with it as I have read in various threads and statements. Just be advised that if you do get this Muzzleloader and you do use smokeless powder, "Follow the Manufacturers Instructions Completely", do not substitute the recommended powder and do not use charges higher than listed in their instructions. Best of all, use Black Powder or a similar substitute such as Pyrodex, Clear Shot, Triple 7 etc.